Delivery men fear me. At 5’2, 120lbs, I’m certainly not physically intimidating, but I can see the fear in their eyes just the same. I’m getting ahead of myself. Before I get to the part about delivery men fearing me, it’s important that I introduce you to our dog, Mason. 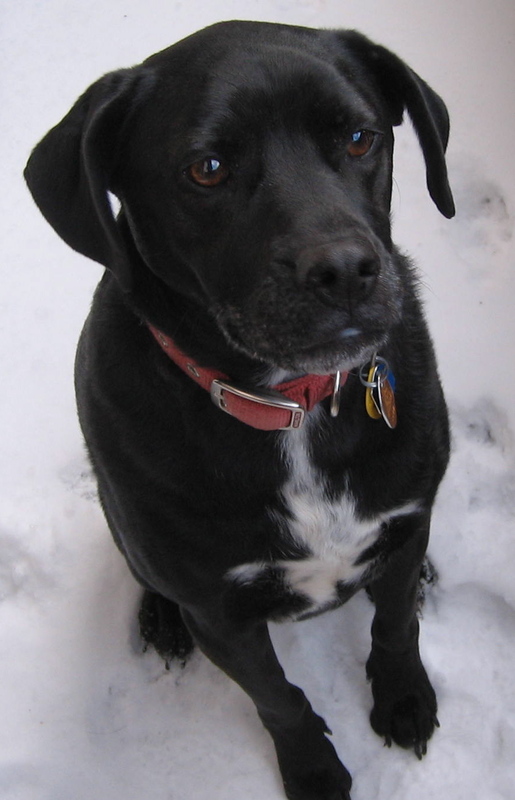 Mason is an 8.5 year old lab mix that I rescued after he was thrown off the back of a moving truck back in 2002. He was 4 months old at the time, and a total disaster. He was skinny with scabs, missing patches of hair, and a huge, funky gray mole smack dab in the middle of his head, but he was sassy, and I liked him. We’ve been through a lot together, and he’s my baby, but we don’t always agree on his behavior. He’s got a lot of personality, and if he thinks he’s in trouble with me, he runs. Or, I’ll tell him not to sass me (yes, it’s obvious when he is sassing me), and he’ll grumble at me just like a child back-talking. He’s too smart for his own good. One of my biggest disagreements with Mason is how he responds when someone buzzes our door. Let me describe this frequent scenario so you can get a clear picture of why delivery men fear me. Mason starts barking loudly and dashing toward the door. His bark makes him sound enormous. I take off after him saying, “No barking. Bad dog!” and try to grab him so I can put him up before he terrifies whomever is at our door. Just as I’m about to get his collar so I can drag him to the patio, he darts away from me so that my hands only end up grasping his hind quarters. As I grab him, he lets out a huge, squealing cry as though I’ve just severed a limb. I then grab his collar, put him up, return to the door, and open it with a smile to welcome our guest who is looking at me as though I’m hiding a dead animal behind whichever door is closed. At this point you might be wondering why on earth I haven’t trained our dog better. Well, I actually did train him, and he knows what to do, but as he gets older, he just doesn’t seem to care anymore. I guess he figures that since I didn’t kill him when he ate part of the couch when he was 1; nor did I strangle him when he almost peed on my head when I didn’t want to get up from a hangover to take him out (in my defense, that was almost eight years ago – in his defense, I probably deserved it); and I didn’t ring his neck after fishing him out of the canal he fell into in New Orleans – even though it cost me some of my favorite heels and a business suit – now he figures he can probably get away with not following all of his training. At this point, I don’t know which of us is better trained, actually.